Style: A few tips for the Autumn/Winter season Part 1 - Well Dressed Dad - It is a proper menswear blog. Like, with original words and opinions and suchlike. This summer I wrote a couple of posts (here and here) with my ideas on summer attire for the middle-aged man. From the feedback I received, which to be honest was overwhelmingly from significant others using my opinions to take their ill-dressed men to task, it was clear that a concise and clear guide to what is and isn’t acceptable for the seasonal wear was appreciated. Or maybe a new backpack? If you like this, stop reading now. You are beyond redemption. I’ll be clear right for the start, if you’re looking for confirmation that your choice of a camouflage-printed Canada Goose jacket (if such an item even exists) is a thumbs-up selection, you’ll be disappointed. I don’t spend much time trying to follow the fleeting fashions, but go more for the classic pieces that have survived a while, and will survive years to come. I’d say classic “with a twist”, but that is such a hopeless cliché. Maybe classics with a contemporary edge. Or just, #dadstyle. Setting the scene, notice the vivid display of colours? Great! 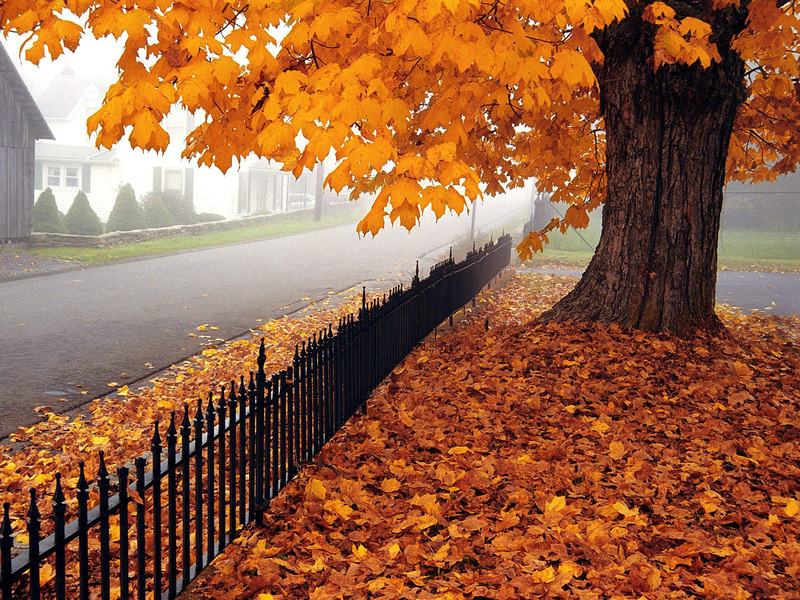 So, Autumn. A great season for clothing. Summer season is more about keeping cool, which most places hopefully means wearing not much more than shorts and t-shirts. Autumn is colder, and wetter, and windier. And the temperatures are colder in the morning than in the afternoon. And if the morning is sunny and fine, rain will no doubt pour down when you’re cycling home. Maybe you’ve walked off in a thick, knitted, wool jumper, only to find that miles from home a bone-chilling wind wells up. What I’m getting at is this: The changing conditions of Autumn poses a few challenges when it comes to getting dressed. 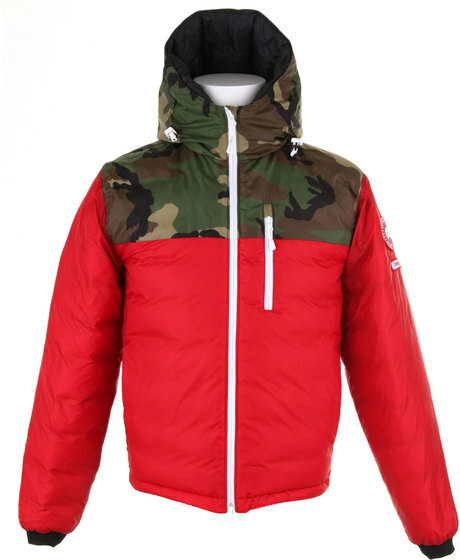 Or, you could just wear a pair of jeans and a Gore-Tex jacket, but where’s the challenge in that? The basic task then comes down to finding ways of dealing with changing temperatures, occasional water from the skies, and horizontal winds. Preferably whilst looking good to others, and feeling good about yourself. From en engineering perspective, I prefer to put things into a system, so as for the summer tips, I’ll start at the top and work my way down. I trust this works for you as well. Man wearing cap with logo. Double fail. So, your head. Basically a choice between a cap or a knitted hat. My opinion is that any of the typical truckers or sports style caps are a big no, and that is final. Unless it’s in waxed cotton, and then only for off-road use. 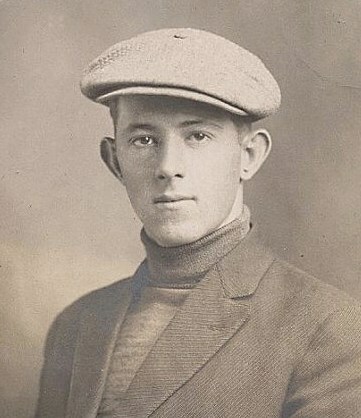 Acceptable caps could be in wool or tweed, flat in style, and if they can be folded down to cover the ears, all the better. Unfortunately, not everyone can wear flat caps, although everyone will try at least once. Men are notoriously poor judges of this, so you may want to poll your significant other (or your mother, though mothers tend to think their son is wonderfully handsome regardless) and listen to what they say. If it comes to a choice between wearing a flat cap and having your woman walk beside you in public, try something different on your head. It’s worth it in the long run, though this is one of the exceptions to the “don’t let anyone dictate your attire” rule we men should stick to. So, caps are a maybe. 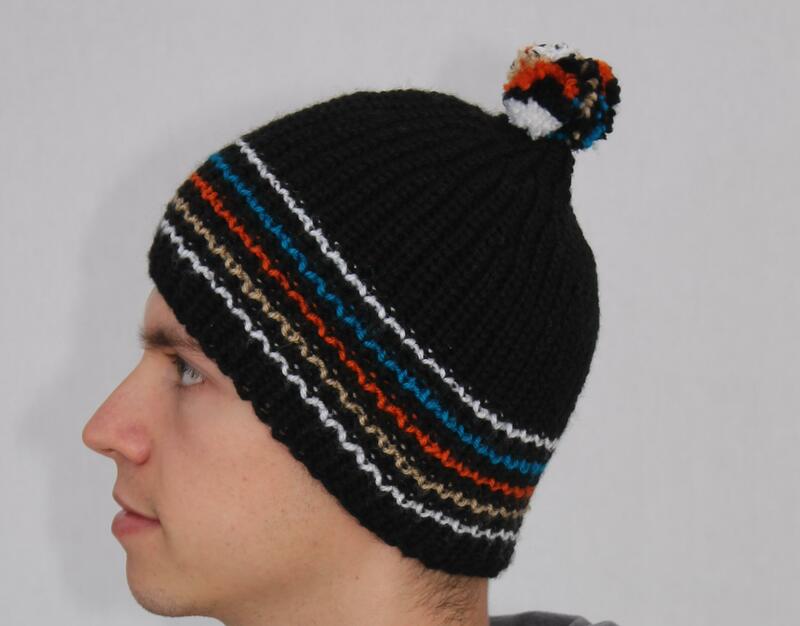 Knitwear on head is more universally OK. Lots of styles to chose between, from the machine knitted variants with a logo on the front to something your Granny could knit for you in an afternoon. Both types have their advantages. The machine knitted ones tend to have a tighter knit and hence be a little more resistant to wind. They will be warm to varying degrees according to what they are knitted of and how thick the knit is. Ideally they would be quite thick and with a high content of wool. 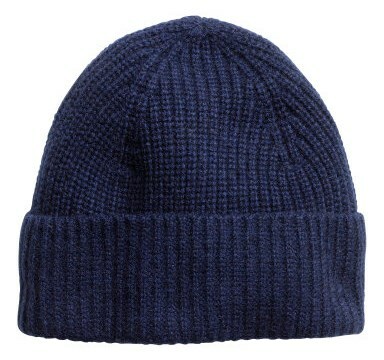 The simple, wool hats in the recent H&M Mauritz collection were good in this respect. Plain and simple, and no logo. What your Granny can bring to the table is total customisation. Chose the wool you would like to have your hat in (and there is an astonishing range, even really tweedy blends), and the style you’d like and let her get knitting. Excellent, and cheap. 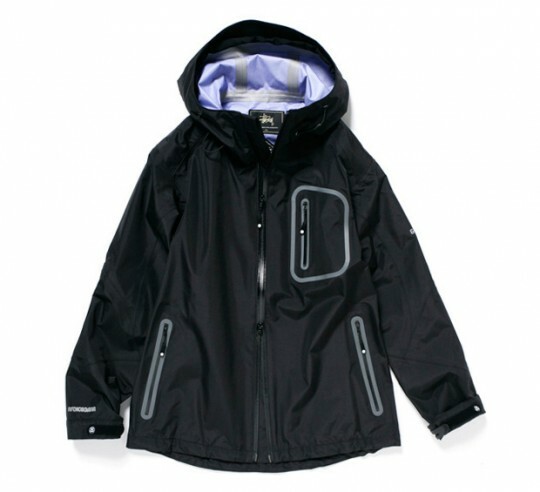 More warm than wind-proof, though. Drop the bobble on the top, they’re for kids. No bobbles please, we’re adults. Of course, if you have a full head of hair, you’re OK for warmer temperatures and most variants of moisture. We tend to forget that for the most part humans are fairly waterproof and unless you sport a quiff of immodest proportions, most manly hairstyles will withstand a squall of rain. I don’t have many absolute recommendation when it comes to ways to keep your neck warm. Or so you might hope. Personally I have a few different scarves, but on a daily basis when cycling, it’s only when it gets really cold that I wear one. Normally I have a kind of wool head-over I use when cycling in the cold, as it lets me close up my jacket more than a bulky scarf. This is always an issue for me with scarves, as it’s rare to find one that really fits well and seals the cold out. 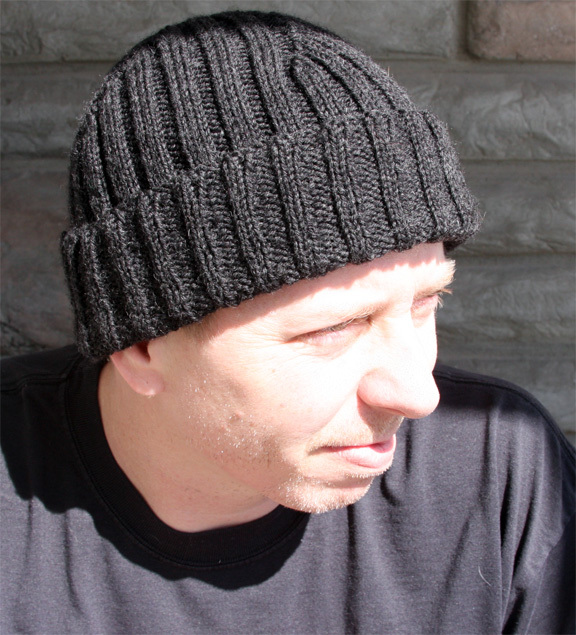 The same as for knitted head-wear, you don’t want something too loosely knitted, unless you at the same time can keep the wind out. 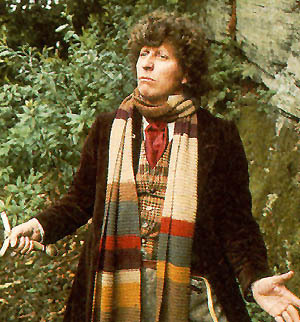 The classic Dr Who style scarf. I’ve been known to wear one. So, technical issues aside, what colours should you go for? My advice is, knock yourself out. Whatever floats your boat, from single colour to checked to a full Dr Who feast of stripes. Why not? The only variant I strongly advise against is the tube type with no ends, that you drape twice round your neck. That is for women or very effeminate men only, not for you. Seriously. 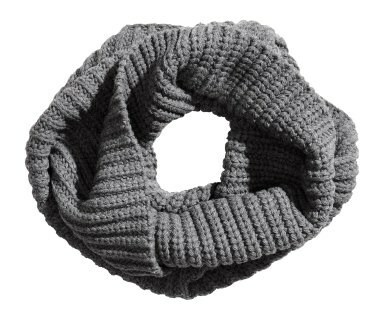 Tube scarf. Please avoid at all cost. So, part one has brought us all the way down to the shoulders. Pretty good progress. 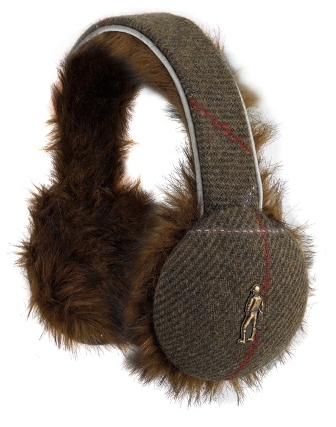 Almost 1100 ords, and I almost forgot to mention that earmuffs in Harris Tweed would be really cool. Have you been at the desert wine? Great advice, simple, classic and stylish – well done. 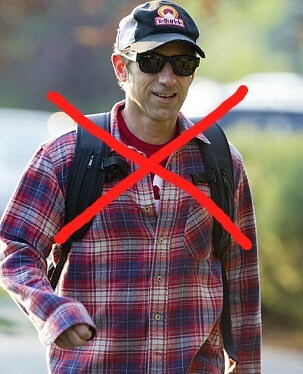 No ‘lumberjack’ shirts, ball caps, logos, and generally looking as though you are an outdoor woodsman or mountain explorer! Thanks, Mark! Working on part 2 now.